An island that used to be filled with tourists visiting PASE, or the Poptropica Academy of Space Exploration, was fuller than ever. My name is Cool Smarticle, and I stood in a huge crowd along with a few of my friends: Slippery Icicle, Tough Spider, Silver Wolf, Fearless Fox, Spotted Dragon, and Tough Icicle. We all had memories of this island, which is why a few tears did roll down my cheeks. PASE was closing. Lack of government funding made it too hard to maintain. That adventure I had in space to get the Lunar Colony medallion – no one would be able to have an adventure like that anymore. We all watched in silence as a huge wrecking ball crashed into the building. Nobody was applauding; almost everybody was crying, except for the clown that the government had hired to try to cheer everyone up. Well, he wasn’t doing a very good job. “Attention, attention!” said a government official with a microphone. “PASE may no longer exist, but there will still be a space organization!” Everyone was immediately silenced, and a few poptropicans gasped. The crowd remained silent. Everyone was confused. Applause came from everyone in the crowd, that is, everyone except Slippery Icicle. “Ladies and gentlepoptropicans, I present to you… Ms. Warless Elfo!” the announcer screamed as a poptropican walked on the stage. “From where, Pewter Moon? The Fire Planet?” Tough Icicle asked suspiciously. Ms. Warless Elfo started answering questions. After a few minutes, Slippery Icicle shook her head and started walking away. “I’m going home,” she replied. “This is really making me mad. I think I’m going to write a speech and present it at the town hall.” She walked into her house and slammed the door behind her. I ran back to the announcement. Ms. Warless Elfo had disappeared, and everyone was talking. “Colonization! I’m so excited!” I heard Silver Wolf say. “I don’t know if I’m too happy, though,” I heard Tough Spider reply. “I still can’t get over her name,” Tough Icicle said. Everyone was chattering, everyone except Fearless Fox. He replied only after a long pause. “I have a bad feeling about this,” was all he would say to me. We all walked back home. It was getting late. The only thing that stopped us was someone screaming “Attention!” from the Town Hall. It was Slippery Icicle. She started giving her speech, a long sequence of words bashing OWL and praising PASE. When she finished, however, people clapped. Some people must agree with her. I wouldn’t know; I’m not really into this political stuff. Anyway, we all praised Slippery Icicle for her great speech, and she thanked us. We all went home, for real this time, and went to bed. It had been a long day. I remember dreaming about OWL and being excited to be the first Poptropican to live on Pewter Moon. No one was telling me what to do; I was completely carefree and worriless. The next day was anything but carefree and worriless; the next day was quite chaotic. I’ll keep my explanation short for you. I went over to the Icicles’ house first thing tomorrow. When I arrived, several police cars were parked outside, and Tough Icicle and Icicles were crying. When I asked them what was wrong, they gave me a note they found on Slippery Icicle’s bed. When you wake up this morning you’ll find something missing. And that you had that thing so bad will you be wishing. Then this precious thing, come back to you it just might may! Then your thing will be gone by the very next season! The “precious thing,” as I was terrified to find out, wasn’t a thing at all, but rather a Poptropican. Slippery Icicle was kidnapped, and she wasn’t coming back unless a ransom of 100,000 credits was paid. I didn’t cry when I read the note. I bawled. I ran out with the note. “We have to do something!” I cried. Everyone was bawling. Tears were everywhere. “We don’t have 100,000 Credits!” shouted Tough Icicle, with tears streaming down his cheeks. He was going pale because of fear, shock, grief, and probably tons of other emotions. To my surprise (and dismay), he passed out. Shocked, I ran over to him. The Icicles’ mother ran over. “I’ll take care of him!” she said. “You’re right,” she said slowly, crying. She walked over to the phone and told all my friends to come over as soon as possible; it was an emergency. Suddenly I heard footsteps pounding down the street, and sure enough, Tough Spider, Silver Wolf, Fearless Fox and Spotted Dragon came skidding around the corner. “Slippery Icicle was kidnapped and there’s a ransom of 100,000 Credits!” I said very quickly. “What? !” shouted Fearless Fox, rushing forward. “100,000 credits? !” said Tough Spider, in disbelief. “We have to save her!” I shouted. “But… but… how? Where do we start?” Silver Wolf asked. We all piled into the blimp and headed towards Zomberry Island. After a few minutes, we arrived. A huge sign reading “Sticky Clown’s Epic Weapons, Outfits, and Other Adventuring Needs” towered above us. We went inside. The place was packed with weapons, like laser swords, pirate swords, nunchuks, crossbows, shrink ray guns, and heaps of other stuff. “Wow,” said Tough Spider, amazed. “Oh, hi,” I said. I hardly heard him speak because I was so taken aback by all the stuff. “I’ll have that bow and a couple of arrows, please.” said Silver Wolf, already at the desk. “That will be 200 credits.” Said Sticky Clown. “200 Credits? !” shouted Silver Wolf, shocked. I turned round quickly. “Could you give us a discount or something?” I said, eagerly hoping that he’d let us get them cheaper. “No! I can’t afford to lose any money!” Sticky Clown said angrily. “Here you go,” said Fearless Fox, throwing a bunch of 10 credit bills on the counter. “Can I also get those nunchuks?” Everyone was amazed by the fact that he had so many credits. “How’d you get so many credits?” I said. “Oh, just by completing islands and saving them up,” he replied, collecting the weapons we had just brought. Sticky Clown gave Silver Wolf her bow and arrows and gave Fearless Fox his nunchuks. “What do you want, Tough Spider?” Fearless Fox asked him. He was looking at the store’s collection of swords. He picked one out, and Fearless Fox bought it for him. I ran over and grabbed a cape from a shelf and tried to rip it with the sword. I did not expect what happened next. Just as I was thrusting the sword downwards, it began to glow a bright red. The cape erupted into flame as soon as I hit it. We all jumped back. Fearless Fox gave him the money while the rest of us continued to stare at the cape. It burned rather quickly, and after we finished, we turned our gaze to the sword. I gave him the sword. He took another cape off of the shelf. We all ignored him stared at Tough Spider. He stared at the cape. He seemed to be concentrating. Suddenly the sword glowed a bright red, much brighter than before. He struck the cape and the entire room burst into flames. Five of us started screaming, but Tough Spider still seemed to be concentrating. The sword suddenly glowed a bright blue. He swiped at the burning cape and a huge wave came across the room. That was when I remembered I can’t swim. I started thrashing about, trying to stay above the water. I might have drowned, but luckily Tough Spider hit the wet cape one last time with a flashing green sword. The water disappeared and everything was dry. Everyone silently stared at him. Spotted Dragon broke the silence. “Y-y-you’re joking right?” I replied. I still couldn’t believe what I had just seen this store go through. We traded swords. We were both happy with our trade. Tough Spider was in the process of trying to teach me how to use the Legendary Sword when someone ran into the store. He/she was wearing a mask; I couldn’t tell who he/she was. But there was one thing I could tell: he/she was holding a gun. Episode 3 – Emergencies Don’t Have Time for Answering Machines! We all were terrified. We had never been in a situation like this before. No one moved. We all dropped everything and stood completely still as if we were frozen. No one said anything and the poptropican walked over to the cashier. He/she shoved aside a pale Sticky Clown as he tried to open the cash register. The machine beeped and the words “Please enter 4 digit PIN” appeared on the screen. “What’s the code?” the robber asked quietly. Sticky Clown didn’t answer. “I SAID, ‘WHAT’S THE CODE? !’” the robber screamed. Sticky Clown still didn’t answer. The robber walked over to the weapons section and came back with a time bomb. The figure fell over. Silver Wolf had shot an arrow in his/her’s back . He/she was knocked out. “That’s what I’m doing!” Fearless Fox said, a cell phone to his ear. We were silently waiting when Sticky Clown broke the silence. We waited for quite a bit longer, but Fearless Fox never started talking to anyone on the other end. After a few more minutes he hung up, enraged. “I’M NOT AN IDIOT!” Fearless Fox shouted. “Well, I think people that destroy things being sold in shops must not be very smart,” Sticky Clown replied angrily. I walked over to the phone next to the cash register and dialed 1234567890. After a minute of waiting someone picked up on the other end. “You have reached the Poptropica Emergency Line, or PEL. How can I help you?” the Poptropican on the other end said. “Sticky Clown’s store on Zomberry Island? Got it,” the Poptropican on the other end replied after a moment. Finally, the Poptropican on the other end answered my question. Episode 4 – Incredible Meteorites Make Incredible Carrots! I put the phone down. “That’s… odd.” I said. “What is?” asked Sticky Clown while tying the villain up with rope. “They said something about Time Tangled and Back Lot island suddenly exploding,” I said. “Well, first we should take off this guy’s mask,” said Fearless Fox, walking over. He grabbed the mask and ripped it off. It was a female Poptropican. “Who is she?” asked Sticky Clown, surprised. Suddenly the doors burst open as the police ran inside. They opened the shop door and walked over to the criminal. The cop had huge boots; he must have gotten them with a promo code. “This lunatic broke into my shop and tried to steal all my money in the cash register!” shouted Sticky Clown. “Thankfully this person here,” he said, pointing to Silver Wolf, “shot an arrow and it knocked her out!” He looked quite red and flustered; he was talking very quickly. “Well then, better get this criminal out of here,” said the cop, and with that, he picked the Poptropican up. He took a look at her and sighed. “Oh, it’s you again,” he said. “Have you caught this criminal before, sir?” asked Fearless Fox. “Yes, she’s quite well known around here. She’s called Incredible Carrot, although some call her Nintendo Friend, and still others call her Pop Koopa,” said the cop, opening the shop door and jumping into his PEL car. He sped off. We cringed as we heard a loud screech as he rounded the corner. We didn’t need to buy anything else, so we said bye and left Sticky Clown’s store. We climbed up the rope dangling down from the blimp and debated where to go. “What’s that! ?” Silver Wolf interrupted, pointing at the sky. She was pointing at a small green dot in the sky. It was flying downwards. Everyone stared at him in silence. “What’s happening! ?” Shouted Silver Wolf. “The meteor must of landed!” I screamed. “That’s METEORITE!” Spotted Dragon corrected again. We all fell off the blimp and onto the ground. I looked up and I saw a huge green cloud over Super Power Island. We came to an agreement rather quickly and after a few minutes, we were standing on the sandy shores of Super Power Island. A huge green meteorite had crashed through the middle of the jail. Green smoke was everywhere. “What’s going on? !” Tough Spider asked the officer. We all gasped, except for Spotted Dragon, who was more interested in the first part of his statement, and for Fearless Fox, who seemed to choke more on the green gas than to gasp. “Ooh! A radioactive meteorite! Probably an isotope of uranium. That’s really strange! Most meteorites are made of iridium, which isn’t radioactive. It’s probably a uranium-238 or a uranium-235 since those are the ones that naturally occur on earth. But then again, this is from space, not from Earth…” Spotted Dragon rambled on. “What kind of super powers do they have?” Silver Wolf asked. “Oh, you can try to catch her,” the officer said, “but I doubt it’s going to happen. We last saw her robbing the bank downtown, but she flew away. Use these handcuffs on here if you do manage to catch her.” With that, he handed Fearless Fox a pair of green handcuffs. He started to walk away towards downtown. Silver Wolf, Tough Spider, and I followed him, but Spotted Dragon was still staring at the meteorite. Fearless Fox walked back to the meteorite, where Spotted Dragon was still analyzing the space specimen. Spotted Dragon didn’t seem to hear and kept mumbling to herself about the meteorite. Fearless Fox stomped back over to us. The four of us ran downtown. We stopped in front of the bank, which was in shambles. We asked the bank manager if he had seen Nintendo Friend, and he said that she flew towards the park after she robbed the bank. We raced to the park. Incredible Carrot was destroying the statue of the mayor of Super Power Island. Incredible Carrot whirled around. “Well,” she said slyly, “I don’t think chasing after people is very nice, either.” With that, there was a flash of light and she was gone. “I have no idea,” Fearless Fox replied, looking all around. We looked all around Super Power for hours and hours, but she was nowhere to be seen. After searching everywhere else on the island, we decided to check the filthy junkyard. We thought it was so dirty that no one would want to be there, but to our surprise, there was a cop patrolling the area. We asked her if she had seen someone matching Incredible Carrot’s description, and she said she had. “Where was she going?” I asked. We thanked the cop and ran over to the subway. We asked the ticket collector if he had seen anyone with orange hair and glasses, and he said he remembered seeing someone like that buying a ticket to Lunar Colony island. We thanked him, bought four tickets to the Lunar Colony Main Street Station, walked over to the platform, and waited for our train. “You should be!” a voice boomed. We whirled around, but no one else was there. We stood petrified in fear. Tough Spider broke the silence. “That voice sounded awfully familiar…” he said. Tough Spider was right. That voice DID sound awfully familiar. It wasn’t Incredible Carrot, and she was the only person who I thought would say something like that. Just then, the train arrived. We hopped on board the next train, which was completely empty, and rode silently home. There were little TVs to keep yourself entertained, and I watched a documentary on the history of Shark Tooth Island. All was going well until the program suddenly froze and the narrator said “We interrupt this Poptropica Broadcasting Service, or PBS, to bring you BREAKING NEEEWWWWSSS! “We interrupt this program to bring you details on a major catastrophe,” a news anchor said. No one moved. Silver Wolf had her head buried in a book, and Tough Spider and Fearless Fox were playing against each other on their 3DSs. Everyone looked up and flipped on their TV. “I’ll bet that Nintendo Friend is behind this,” Fearless Fox growled. Just then, we arrived at the Lunar Colony Main Street Station. We hopped off and walked up the stairs. At the top, I was blinded by the light and ran right into someone. I would have replied “my fault” and moved on, but just then the sun moved behind a cloud and I could see who I bumped into. Out of everyone in Poptropica, it was Tough Icicle! “You mean like that person over there?” Tough Icicle said pointing at a Poptropican who looked exactly like Incredible Carrot. Fearless Fox ran over to her and grabbed her by the wrists. “You’re going back to jail!” he said. “Oh, you’re probably looking for my twin sister, Incredible Carrot, or Pop Koopa, as she likes to be called,” the Poptropican said. “I’m Angry Carrot. See? I got an ID to prove it!” she said, holding out an official Poptropica ID. The government gives them out to everyone over the age of 18. Fearless Fox let go of Angry Carrot. “Do you have any idea where we can find your sister?” I asked. Tough Icicle joined us on our search for his sister. We boarded a train and took off to Steamworks Island. It was a rather uneventful ride, and we arrived rather quickly. Again the train was empty. We looked around on Steamworks, and, to my surprise, Incredible Carrot was just standing there, looking around. She didn’t see us. Fearless Fox was able to sneak right up and put the handcuffs on. Incredible Carrot started pleading with us. She clearly didn’t want to go back to jail. “1,000 credits!” she shouted. That was pretty shocking. 1,000 credits is a lot of money. It was tempting, but we knew what to say. Incredible Carrot was silent for a while. We started walking back towards Super Power when she said something that made us stop in our tracks. The 1,000 credit bribe was nothing compared to what we heard next. “I know where Slippery Icicle is,” she said quietly. Episode 5 – Chair or Table? Incredible Carrot grinned mysteriously. “Do we have a deal then?” she asked. “Oh, it’s safe. Just a chair or table there. No traps,” she said. That was a weird answer. What did she say? Tough Icicle pulled me over into a small little empty building on Main Street. The rest of the group stood guard over Incredible Carrot. “What are you doing? !” he scream-whispered at me. His face was as red as a tomato. “We’re talking about a Poptropican here! The whole reason we’re going on this hunt is for my sister! “It’s my sister, who might be getting killed!” he screamed. Everyone in our group turned their heads towards us and peeked through the little window. He moved away from the window so our friends couldn’t see us. He beckoned me to follow. I followed. He reluctantly pulled out a sword, and I gasped and jumped back. “Don’t you dare!” I said just loud enough for him to hear me. But instead of him doing what I expected him to do next, he did something even worse. I expected him to threaten me. He raised the sword not above my head, but above his own. “…I’ll kill myself,” he finished. There was a long pause. Someone started tapping on the window in the other room. “Your sister means that much to you?” I asked. “That’s enough now!” someone said behind me. I whirled around. It was Fearless Fox. To my surprise, he had tears streaming down his eyes. “That’s not it, and how I feel can be private too! Just leave me alone!” he ran out, still crying. We followed him out. He had joined the group back up. Everyone seemed confused, even Incredible Carrot had a confused look on her face. “So, do we have a deal or not?” she asked. “NO, NO, IT’S A TRAP!” my head was screaming at me, but I didn’t have a choice. If I said no, Tough Icicle would kill himself, but if I said yes, then we might have a chance of rescuing Slippery Icicle. Or we might have a chance of getting killed ourselves. How fun. “Yes, we do,” I answered, in spite of myself. We followed Incredible Carrot as she walked left. She stopped at the abandoned Living Quarters. She used a key and a steam battery to get inside. She lifted a floor tile and a large staircase formed. She motioned us to go forward. I clenched my sword in my hand. I walked down the dark staircase; my heart pounding. After a few minutes, I turned around. Everyone else was still behind me, except for Spotted Dragon, who, for all I knew, was still on Super Power, staring at that meteor. After what seemed like ages of walking, the staircase started to get brighter. Finally, we stepped out of the tiny passage into a huge open room. There were no chairs or tables, despite what Incredible Carrot had said. There was lava everywhere, but that wasn’t the main attraction. In the middle of the huge room, there was a large metal cage with Slippery Icicle in it! “Slippery Icicle!” we all screamed simultaneously as we ran towards her, being very careful to dodge the small pools of lava. We all reached her about at the same time. There was a wave of despair and disappointment when we saw that there wasn’t even a door with a lock on the cage. Besides destroying the seemingly indestructible iron bars, there was no way for her to escape. We asked Slippery Icicle a trillion questions at once. “Are you okay?” “What happened?” “Who kidnapped you?” “How’d you get here?” “Where are we?” just to name a few. Slippery Icicle seemed very relieved. She told us to calm down and started answering our questions. “I DID!” someone behind us screamed. A loud slam was heard as the door we came in was slammed shut. Oh boy, I was right. It was a trap. But who set the trap totally surprised me. It was Ms. Warless Elfo, from OWL. “First of all,” Warless Elfo said, “Warless Elfo isn’t my real name. My real name is Fearless Owl. Warless Elfo is an anagram. (Good job to those of you who figured this out!) I love anagrams! Some of my favorites are ‘Dormitory = Dirty room’ and ‘Funeral = Real fun.’ But anyway, that’s beside the point. “Not only is Owl my name, but it’s also an acronym. It stands for Other World League, and it’s the official name of our organization. “That’s… that’s… that’s horrible!” Tough Spider said bravely. Incredible Carrot nodded. She walked up behind Tough Spider and punched him in the back. To our horror, he flew across the room and screamed in pain as he landed in a pool of lava. “But why did you capture me, out of all people?” Slippery Icicle said. “But then-” Slippery Icicle tried to continue. I looked around at my friends. Everyone was petrified in fear, except Fearless Fox who seemed both grievous and enraged. “Anyway,” she continued, “you’re probably wondering why I told you this. You’re trapped in here forever. The only entrance is locked, but don’t worry, I’ll entertain you! As soon as I leave this room, the lava levels are going to start to rise. They’re not going to stop until they reach the ceiling, and in the process, kill you guys.” she laughed a horrible laugh. Incredible Carrot nodded and laughed. “Have fun, guys!” she said. She snapped her fingers as she and Fearless Owl vanished. The lava slowly started to creep up. “There’s gotta be a way out!” Silver Wolf screamed. “You’re lucky you can move to higher ground!” Slippery Icicle screamed. I was wondering about that chair or table thing, hoping it would be some kind of password to get us out. My heart sank when it hit me. It was an anagram, just like Warless Elfo. Well, what happened next was all a whirl, but this is what I think happened. I looked around and noticed Tough Spider’s Legendary Sword, lying near the edge where he had fallen off. I ran to the edge and looked over, but I couldn’t see Tough Spider anywhere. I grabbed the sword and focused. “Let’s heat things up in here!” I shouted. I tried again. I focused so hard that my head started to hurt. “Let’s heat things up in here!” I screamed. The sword glowed bright red before suddenly exploding. There was smoke everywhere, and we couldn’t see anything. The sword disappeared. After a bit of wandering around in the smoke, the smoke itself burst into flame. I screamed. It felt like I was in an oven, burning, trying to bear super high temperatures. Then the sword appeared out of nowhere and floated down to me. It was on fire, which confused me for a few seconds until I figured out exactly what I had to do next. I launched forward, thrusting the sword upwards into the air. I brought it down to the cage Slippery Icicle was in. The result couldn’t have been more perfect. The sword exploded again, and I could hear the cage bars breaking. Another explosion followed as if it was answering the earlier one, and I got thrown into the air like a rag doll and hit the floor. The sword flew over the edge into the lava. “Take your sword, Tough Spider!” I screamed. “Are you alright! ?” shouted Silver Wolf, as she rushed over. “I’m fine,” I said. I could hardly speak. “Slippery Icicle!” shouted Tough Icicle. “Are you okay?”. “Yep,” said Slippery Icicle, “But what are we going to do about the lava!?”. We looked down, terrified to see that the lava was nearly up to us. “We got to get out of here!” shouted Tough Icicle. Just then, the door opened and Spotted Dragon emerged. She nearly fell into the lava, but she caught her balance at the last second. “What on earth is going on?” she said. “Just save us! The lava keeps rising!” Fearless Fox screamed. “So you’re telling us that we’re gonna die?” I squeaked. “A ladder? A bunch of shoelaces? A grappling bowtie? Anyone?” she asked. Tears were in her eyes. She obviously thought this was the end. Deep down inside, I did too, but I refused to believe it. “OWL,” Silver Wolf replied, and she told Spotted Dragon the whole story. When she finished, Spotted Dragon was screaming “Curse you, Fearless Owl!” and the lava or magma or whatever was inches away from us. We probably had another two minutes or so. All of a sudden, we were saved. An enormous wave of water appeared out of nowhere. The only problem was that I couldn’t swim! “SAVE ME!” I screamed. I cringed as the water hit me. But the water seemed to be, well, helpful, as if it had a mind of its own and was determined to help out. It was cool and refreshing, and it brought us right through the door that Spotted Dragon was holding open. Once we had all gotten through the door, the water receded behind us. There was absolutely no trace of its existence. More magma started to bubble back up, but that wasn’t a problem anymore. “But how did it get there? Was it sheer luck?” Spotted Dragon asked. I knew how it had gotten there. I looked over at the pool of magma that Tough Spider had fallen into. It was still bubbling. Everyone followed my gaze and understood. “But what about Tough Spider?” Slippery Icicle asked. “There’s really nothing we can do…” said Silver Wolf sadly. “Hopefully, his sword will keep him from…” she trailed off. “We better go back to the Icicles’ house.” said Spotted Dragon. We all nodded in consent and started walking up the stairs. As we walked up the first few stairs, I looked back. There was still no sign of Tough Spider. Things were going to be different without him and his sword to save us. After years of walking, we made it to the top of the staircase. We were all way too tired to talk, and as soon as we reached the top, we collapsed onto the ground. After a few minutes of trying to catch our breath, we could talk again. When we arrived, Sticky Clown greeted us happily. Spotted Dragon pestered him with scientific questions about the fire resistant suits as she tried to figure out if one could swim with them. Eventually, she decided that it was possible to swim with them and we bought six. I put mine on as soon as I got it. It was really thick, almost like the space suit they made me put on Lunar Colony when I went to the moon. That suit was so uncomfortable, it’s probably what made that guy whose place I took sick. “What do you think?” Silver Wolf asked me. “Then maybe you should have told us that BEFORE we bought them,” Fearless Fox grumbled. We rushed out of the store and steered the blimp back to Steamworks. I was enjoying the view when suddenly I heard Slippery Icicle scream. We all looked around. Slippery Icicle had fallen out of the blimp! “Slippery Icicle!” Tough Icicle shouted, jumping out of the blimp after her. They became small dots. We heard a little splash. Silver Wolf let down the rope, “Grab on!” she shouted. The two Icicles came climbing up the rope, and Fearless Fox quickly steered towards Steamworks Island. “Are you two okay?” Spotted Dragon asked. She walked over and checked on both of them before deciding that they were both unharmed. “Sorry to cause any trouble,” said Slippery Icicle. “It’s all fine,” I said, reassuring her. We hopped off the blimp the second we got to Steamworks. We raced over to the living quarters. The tile hiding the base had already been lifted up. None of us knew if this was good news or bad news. We raced down the years of stairs and you’ll never believe what we saw. All of the lava had cooled and hardened. If Tough Spider had been in the magma when that happened, he would have been trapped forever. BUT HE WAS STANDING RIGHT IN FRONT OF US! “TOUGH SPIDER!” I screamed and ran towards him. That was a strange thing for someone who was almost killed by hardening magma to say. “How did you get out?” I asked. “By getting out,” he replied coldly. “What?” Tough Icicle asked. “Why? There was a pause. Then he spoke. I still remember the exact words that came out of his mouth. He had a horrible, twisted grin on his face. NOTE: This episode contains more violence than usual. Rated 10+. “We will never join OWL!” shouted Fearless Fox, “Even if it means we have to die!”. “Don’t worry, Cool Smarticle, I’m not GIVING UP!”shouted Fearless Fox, from the flames. That’s when I realized he never took off his magma proof suit. He was faking it all along! Tough Spider was a good sword fighter, but I was too. For a good chunk of that hour, we never hit each other. My defenses were too good for him. After awhile, though, I finally managed to get a hit. I slashed at his face, and you’ll never believe what I saw. I had no idea where to go, but in my rage, I kept running. Running everywhere. We ran for ages, but eventually, we made it to a huge room with a huge helicopter ready to take off. The dark OWL logo was painted on the side. Episode 9 – Deal or No Deal? I looked down. I shouldn’t have. If I missed the blimp, I would surely fall to my death. I screamed. Heights aren’t exactly my thing. Time always slows down in a catastrophe, and I guess falling like that is a disaster because it took years for me to finally land on the blimp and slide into the cockpit. “Fearless Fox… got killed,” said Slippery Icicle. She suddenly joined me in my art of coloring the sky. “Deal,” I said immediately, putting down my wallet on the table. Episode 10 – To Save a Fallen Friend! “Okay,” said Sticky Clown, as he grabbed my wallet, got the 500 credits out and threw the wallet itself on the floor. How rude. He ticked me off a bit when he threw my wallet on the floor, but then he added insult to injury and threw the diamond sword and potion on the floor. Luckily the potion bottle didn’t break. I was eager to get out of Sticky Clown’s shop and to get away from his rudeness towards me, so I left and everyone else followed suit. As soon as we got out of the shop, Spotted Dragon grabbed the bottle from me and examined it. “You can never be too sure,” Spotted Dragon replied. I’m pretty impatient, but right then I did something really rash I probably shouldn’t have done. I drank half the bottle. Everyone stared at me. Well, it sure wasn’t poison. I didn’t die. But how can I describe the taste? There was a bit of a melon flavor and a hint of a metallic taste. Everyone continued to stare at me. Spotted Dragon started to give me a “science talk.” She kept rambling on about how dangerous it was for poptropicans to drink unknown liquids and blah blah blah. I’m pretty sure I fazed out because I don’t remember a word she said. “Are you okay?” Slippery Icicle asked, waving her hand over my face. “Huh…?” I said, suddenly noticing her.Then I realized that all my cuts and bruises were gone. They had just… vanished. “Your cuts and bruises are gone!” said Spotted Dragon. She was clearly very fascinated. I was amazed, but then I remembered Fearless Fox. “Come on, let’s go,” I said, turning to the blimp. “Where are we going?” Silver Wolf asked. I paused. “We’re going to save a fallen friend!” I replied and leaped up the rope of the blimp. Everyone else quickly followed. I steered the blimp to Steamworks Island. As soon as we got there. I jumped out and ran towards OWL’s secret hideout, where Fearless Fox was. I used my diamond sword and broke down the door. “Wow!” I exclaimed, “This sword really is strong!” I navigated my way to the bottom, clutching the bottle as if it was my life. I spotted Fearless Fox and ran over to him. “Well… here it goes,” I said as I opened Fearless Fox’s mouth and poured the potion down his throat. Nothing happened. A tear ran down my cheek. Suddenly, bubbles flew up from his body and the blood on his mouth faded away, The wound on his stomach vanished. The dirt and scratches on his face peeled away, and before we knew it, all his wounds were gone. Needless to say, we were all mind blown. It worked! IT ACTUALLY WORKED! “Quit looking at me like that! It’s freaking me out!” he said as he jumped up. “Y-y-you’re alive!” I screamed as tears of joy raced down my cheeks. “DUH, why wouldn’t I be?” said Fearless Fox, rolling his eyes. When no one said anything and everyone seemed confused, he himself became puzzled. “Wait…what happened?” he asked as he turned around and looked at us, waiting for an explanation. “It’s a very long story,” Slippery Icicle said. “I like cherry sodas,” I said, licking my chops. We left Steamworks Island and had the blimp take us to Early Poptropica. I hadn’t been to Early Poptropica in ages. I think the last time I went was when we took our history field trip in 4th grade. That was awhile ago now, but I do remember stopping at the Soda Pop Shop for cherry sodas afterward. They were delicious. I hope they still are. We arrived after a few minutes. Silver Wolf tried to tell me something as we climbed down the blimp, but I already knew that they had delicious cherry sodas, so I rushed past her. I walked through the door and was immediately shoved backward onto the sidewalk. About twenty balloons flew out and raced up towards the sky. I had forgotten that it was September, the month where random buildings are filled with tons of balloons for no apparent reason. I got up and carefully walked into the Soda Pop Shop, avoiding the balloons, and sat down in front of a waiter and next to Fearless Fox. Slippery Icicle ordered five cherry sodas. I almost asked her to put in a second order for me, but I decided against it. I shook my head. Fearless Fox looked down at the ground and clenched his fist. “Tough Spider… he was the one who stabbed me… right?” said Fearless Fox, looking up. I was about to explain to him that it was actually a robotic clone when our waiter appeared out of nowhere. “Cheat Dude!” Spotted Dragon said. Cheat Dude looked at Spotted Dragon, confused. “Do I know you?” he asked. He put the sodas down in front of me. I had a huge urge to drink all five of them right then and there, but I decided against it. “I’ll pay,” said Fearless Fox. He shuffled around in his pockets for a few minutes before looking up, shocked. “No can do!” Cheat Dude shouted as he pushed Fearless Fox out of the shop. “You trying to pick a fight?” Fearless Fox demanded. They started shouting at each other, and it probably would have gotten worse if I hadn’t put a stop to it; Cheat Dude had already thrown a bottle at Fearless Fox’s face. “LOOK, I’LL PAY!” I shouted as I jumped up on the table, walked over, and stuffed 45 Credits into Cheat Dude’s hands. The two stopped fighting; both were visibly injured. Fearless Fox sat down and started slurping up his cherry soda. Suddenly he clenched his stomach. “I’m going outside,” he said as he walked slowly to the door of the shop and stepped outside. Then a few minutes passed. Cheat Dude grudgingly cleaned up Fearless Fox’s drink while everyone else started chatting again. I sat silently for a few minutes, thinking about Fearless Fox. After a few minutes, I decided to go outside and join him. I stepped outside. He wasn’t there. “Feeeeaaarrleesss Foooxx!” I called. “I’m on the roof,” Fearless Fox replied slowly. I climbed up onto the roof. Fearless Fox was laying on his back, staring at the sky. He looked a little pale. He must not have been feeling well after getting hit in the face with a glass bottle. “Yeah…” he said weakly. He groaned. “Tough Spider-” I said, trying to tell him that Tough Spider never did anything and that it was only a clone, but Fearless Fox interrupted me. “-is a horrible traitor,” he finished. “That wasn’t Tough Spider,” I said. He sat up and looked at me for a good few seconds. I explained to him what happened. It took a while; his memory was kind of foggy. “Why would I lie to you about something like that?” I demanded. I was starting to get angry. “OR MAYBE YOU’RE AN IMPOSTER! !” I screamed. I knew that wasn’t true, but I couldn’t think of anything else to say. “You don’t know how many times I’ve been betrayed,” he said, pulling out his nunchucks. I was about to take my sword out and fight when he gasped and dropped his weapon. His face turned completely pale. I was about to ask him what was wrong when he slowly started to point behind me. “Turn around,” he said very quietly. It hit me harder than a cement truck running into a wall at a million miles an hour. It was Fearless Owl, Incredible Carrot, Tough Spider, and Tough Icicle. He silently nodded and climbed down the building with me. What I didn’t tell Fearless Fox was that I had a plan. A plan that would prove to him that the thing that killed him was not the real Tough Spider. I dashed into the Soda Pop Shop, barging through the barricade of balloons. I grabbed my cherry soda and whispered my plan to Silver Wolf. “Why do you want me to do that?” she asked. “No time to explain! Just do as I say! Please!” I replied. She looked at me with a strange look on her face, but I ignored it. I raced out the door, clenching my cherry soda. I looked behind me; Silver Wolf was clenching hers, too. That was good. Step one completed. I ran downtown. Everyone else was struggling to keep up with me. I stopped right behind Fearless Owl and company. She turned around. “Well, hello there!” she said. Her expression changed immediately as soon as she saw Fearless Fox. “What?! How?! Tough Spider, you were ordered to dispose of him! “I did,” it said flatly. “Shut up, traitor!” shouted Fearless Fox, enraged. “Oh ho ho! You’re calling us traitors?” Tough Icicle said. “NOW!” I screamed at the top of my lungs. I threw myself on top of Tough Spider, knocking Fearless Fox back as Silver Wolf did the same with Tough Icicle. I ripped off the mask and poured all of the cherry soda into the mechanical part. He started flopping around wildly. Silver Wolf did the same to Tough Icicle. “THAT IS THE REAL TOUGH SPIDER!” Fearless Owl shrieked. She punched him in the face and broke his nunchucks. A huge, purple bruise appeared on his face. “AS IF THAT’S GOING TO WORK ON ME!” shouted Fearless Fox as he leaped up and punched Fearless Owl in the face. She was thrown across the road. Both of them were breathing heavily. Fearless Owl got back up onto her feet. “I’d love to play longer,” Fearless Owl said with an evil smirk, “but I can’t.” She snapped her fingers, and they disappeared. “No way,” I said angrily. I was ticked off that we still hadn’t caught OWL. Everyone was breathing heavily after the short but brutal fight. Fearless Fox’s face was still purple from getting punched, and I was still breathing louder than trucks vrooming down the highway. “I need a new weapon,” Fearless Fox said again. “We heard,” Silver Wolf said flatly. “I think I heard about an adventuring shop on Shark Tooth once,” Slippery Icicle said. We all walked over to the blimp and jumped up the rope. We piled inside, and I sent our blimp to Shark Tooth Island. I had never been to Shark Tooth before, but I tried to remember the documentary I was watching on our trip to Steamworks. I vaguely remembered something about a big shark terrorizing people and something else about ancient ruins on the island. I also remembered that they gave out free bottles of carbonated coconut milk to every visitor. Gross. We arrived at Shark Tooth and slid down the rope. A large billboard greeted us. “Come to Brave Sky’s shop for all of your adventuring needs! Costumes, weapons, potions, and much, much more! Right now, everything is 40% off!” Silver Wolf read. We crossed the tiny Shark Tooth island and found Brave Sky’s adventuring shop. We stepped inside and found ourselves in a shop not nearly as large or as well organized as Sticky Clown’s. Capes and swords were lying on the floor; everything was a mess. She walked to the back of the store with the rest of us trailing right behind her, stepping carefully to avoid stepping on a weapon of some sort. Fearless Fox picked out a sword rather quickly and bought it. It was rather cheap; the 40% off must have been a legitimate 40% off instead of a price increase. That came out much harsher than I intended. Thank goodness I didn’t offend her. I looked at the rest of our group. All of us knew exactly who Brave Sky was describing. “Which way did she go?” I demanded as calmly as possible. “Towards the ruins,” Brave Sky said. The ruins?! What on earth could Fearless Owl be doing at the ruins? As far as I knew, there wasn’t anything down there besides bones from dead sharks. Yuck. “Why? Do you know her?” Brave Sky asked. “Uh…she’s an acquaintance of ours,” Silver Wolf said. “Yeah…and we have to go!” Fearless Fox shouted, throwing 10 credits on the counter and racing out the door. The rest of us trailed right behind him. “Why would Fearless Owl rob a store?” Slippery Icicle asked. “Incredible Carrot robbed Sticky Clown’s store just before we came to rescue you,” Spotted Dragon replied. “What kind of a crazy plan is she up to? !” Slippery Icicle screamed. I was about to reply when Fearless Fox stopped in front of a gigantic building shaped like the face of a shark. The entrance was a massive mouth with two eyeballs resting on top. “This would be the perfect place for a bad guy’s hideout,” I said. It really was. It was a dark, spooky place, a place no one would dare to enter. But I wasn’t afraid. “Y-yeah,” Silver Wolf stammered. “I-it’s qu-quite… for-formidable.” She was completely pale. “Let’s not…” Spotted Dragon said. Everyone besides Fearless Fox and me mumbled in consent. “It’s more than that… I’m getting a really bad vibe from this place,” Slippery Icicle faltered. “Well, I don’t know about the rest of you, but Cool Smarticle and I are going in!” he said. We walked in. It was pitch black. “I can’t see anything!” I wailed. “Our eyes will adjust. Be quiet. I thought I heard something,” he whispered. “Are you trying to scare me?” I asked. “No,” he replied, and I knew he meant it. We took a few more steps into the ruins but immediately stopped again. This time I heard something. Swish, swish, swish. It stopped almost as soon as it had started. We started and stopped again. Swish, swish, swish. Silence. I had heard that sound somewhere before. What was it…? We started and stopped for the fourth time. Swish, swish, swish. I shivered when I realized what it was. It was the sound of two pant legs rubbing together. Someone was following us. We started and stopped abruptly. Swish, swish, swish, swish, swish, swish. The sound did not stop this time. Our pursuer was running, running towards us at an amazing speed. “RUN, COOL SMARTICLE, RUN! !” Fearless Fox screamed. I raced around wildly in the dark. I repeatedly ran into walls, but very slowly my eyes adjusted to the dark. I slowly could see the walls of the ruins, then the floor, then the ceilings, and then the silhouettes of a group of about five fighting someone. I ran over. The rest of the group had arrived. They probably had heard Fearless Fox telling me to run and came in to help. They had knocked out the Poptropican that was chasing Fearless Fox and me. “Who is it?” I asked, trying my best to stay calm. I had never seen him before. “I have no idea if it’s even a boy or a girl – I can’t see my hand in front of my face!” Silver Wolf said. I bent over and checked his inventory. He had a small, plastic card. 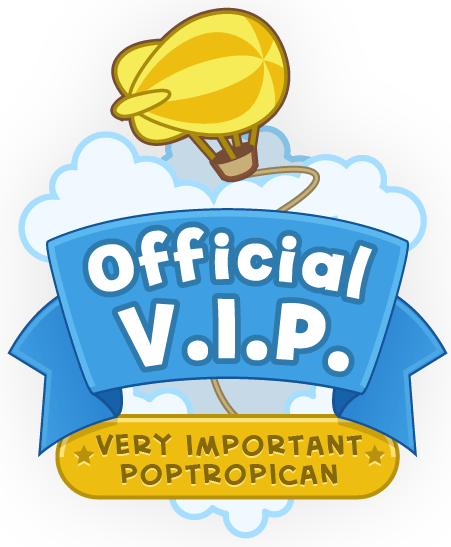 It was too big to be an official Poptropica ID. It had some text of some sort on it, but it was way too dark to read it. “I found something!” I said. “What is it?” Spotted Dragon asked. “I have a few matches,” Slippery Icicle said. After much struggling of us trying to see to light the matches, we finally lit a match and read the card. Just then a bunch of guards appeared. We fought them off rather quickly and continued through the ruins. Our eyes had completely adjusted to the darkness and we quickly came to a door with a pattern of buttons next to it shaped in a shark’s mouth. There were small symbols on the buttons that I immediately recognized as Shark from the first day of school years ago. “Does anyone remember learning about the Shark hieroglyphics in school? I fell asleep that day in class,” I said. I used to be really embarrassed about that, but that was years ago. The eyes turned red and the door remained locked. The eyes turned red again and the door remained locked. “I guess the code isn’t O-P-E-N anymore, then,” Silver Wolf said. That was frustrating. How were we supposed to find Fearless Owl if she was hiding behind a locked door? “The code is B-O-N-E-S,” Fearless Fox said quietly. Silver Wolf shrugged and typed the code in. To our astonishment, the eyes turned green, and the door opened. “How did you…?” I tried to ask, but I didn’t get a chance because more guards appeared. “Why do we have to fight so much? Why? What did we ever do?” Silver Wolf said exasperatedly. “Because they’re evil, that’s why!” Spotted Dragon screamed. She threw a vial at them, which shattered into broken glass. The broken glass went everywhere, and the guards screamed in pain. I can tell you, it was not a pretty sight. While the guards were distracted, Fearless Fox ran up to them and slashed them with his sword. He probably took out around twenty guards in a minute or two. We continued on, when all of a sudden, I stopped. I could see the silhouettes of Fearless Owl and Incredible Carrot in the distance. “There they are!” I whispered. “They’re right down the passage! Do you think they see us?” I turned around and saw Fearless Fox behind me. His face was red with rage, but that expression quickly gave way to shock. He nodded violently. “Yes, we do,” someone behind me said. I whirled around. Fearless Owl was standing right in front of me. She pushed me aside, walked up to Fearless Fox, and said two words that absolutely changed my life. Episode 13 – Deja Vu! Fearless Fox stared Fearless Owl straight in the eye. “It makes me sick to think I’m related to you…!” Fearless Fox said slowly in a wobbly voice. “It makes me sick to think I’m related to someone…so…good,” said Fearless Owl as she grabbed Fearless Fox’s neck, threw him over her shoulder, and smashed him to the ground. Fearless Fox screamed in agony, and Fearless Owl kicked him against the wall. Realizing what she was about to do, I stepped in front of him and probably saved his life. “Not you again,” Fearless Owl growled. She rolled her eyes, lifted her right hand, and I was thrown like a rag doll across the room. I hit the wall. Hard. That was when I went unconscious. When I finally regained consciousness, my eyesight was very blurry. I heard voices. It must have been Fearless Owl and Fearless Fox talking to each other. “Tough Spider! Tough Icicle! Where are they? You might have them, but I’ll have one thing; I will have my revenge!” On the word, “revenge,” Fearless Fox jumped up and attacked, only to be kicked back to the ground by Fearless Owl. The Binary Bard? I remember thinking I’d have to remember that name. “But they obeyed you…” Fearless Fox replied weakly. “‘WHAT ABOUT ‘FIGHT’? !” screamed Fearless Fox as he sprang up. He was about to get a hit on Fearless Owl when Incredible Carrot came flying out of nowhere. She punched him and he flew across the room and smashed through the temple ceiling. He landed outside. Spotted Dragon started to work much faster. She was hardly giving the green liquid any time to calm down before adding more blue liquid. The resulting boom which was the loudest sound I have heard in my life was accompanied by a small cloud of smoke which surrounded Fearless Owl. “We have to go! Let’s go!” I shouted as Incredible Carrot swooped down. She narrowly missed us and smashed into a wall. We ran out of the temple (a very difficult feat, considering we couldn’t see our hands in front of our faces) and hopped into the blimp. We flew off. This story hasn’t been updated since 2014, but if you know any talented authors that may want to continue it, you can contact the PTFP’s email. We hopped off the blip the second we got to Steamworks. We raced over to the living quarters. The tile hiding the base had already been lifted up. I actually threw up when I read the part about FF. Of course, the three pizzas and two cokes might have helped…still really gross, though. I must be used to it then. Gagagagagagagagagaag okay I’m fine now. I really love the story! There’s a lot of talent here! I can’t wait for ep 14 to come out!!!! Yeah hopefully it will come out soon, we just have to get back on task because me and TS have been busy. I read the episodes and I read them three more times, I really like them! Can I be in a later ep? Updated all the way to 11. BTW, check out my new account, tessmariahgio18 please?? It looks awesome! Kk. Do you know short leaf? He’s supposedly famous, and he commented on my glitch contest on PAw and told me not to leak glitches online. OOH yeah, new tech in the house, you always have to connect it up first. So are you on your new laptop? Oh windows 8 like mine, their a lot different from windows7 that’s for sure. But it’s all pretty simple, to figure out. 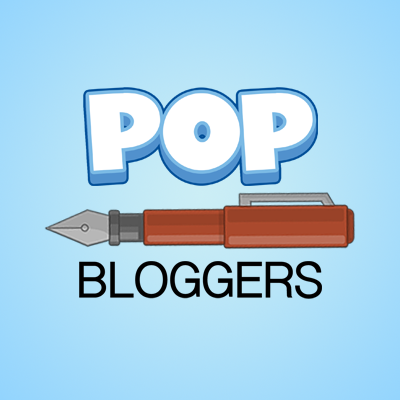 What’s Poptropica Universe: Legend of the Swords? I’m pretty sure it’s the next series in PopU. Oh, I asked FF if there was going to be another series in PopU he said yes but not now. So I asked in the future can I be the Star in it, he said yes! Err… Umm… Yeah… I said maybe…. Yes I did say that. AFTER this story is finished. I don’t want to spoil anything though. OR guarantee anything. I know, but how many different chapters are there going to be the story following CS right now? I don’t really want to give it away. 😯 You get to be the next star?!? That’s cool! I would love to be the star of the 3rd series if there is one. That’s what he told me but I’m not sure if he changed it………………………………….. I can’t wait for the adventures that always happen in my shop-featuring me! More serious than the poptropica im used 2…but the story wuz epic!!! Thanks, did you check out the latest episode? Can’t talk I’m on vacation so I’ve got limited Internet. but I’ll try to reply from time to time. Really? You didn’t tell me that! -_- Dude delete that comment! No. I can’t do that on here. Limited Internet. I’m replying from my email, using someone’s iPad. Cuz I talk too too much. I have finished writing a 3rd episode. However, it is about half as long as all of the other episodes are. Do you guys want us to post this shorter episode tonight (after FF reviews it) or do you guys want to wait for a longer episode? Please reply with your opinions! Hmm…….. How much longer for the longer episode? Ok, that’s one vote for shorter. What?!?!? Bai. Chat later okay? I’ll go for a shorter one. I love a good cliffhanger. 💡 I have an idea. I think there should be a page under Poptropica Universe that shows the pictures of us we sent to FF. And next to the pic. Our roll and description of whatever. I know you guys made a roll time post, but it’s just an idea. That is a good idea! We would only introduce characters once they’ve made their first appearance, though. Sure, but read my other comment first. thats a good idea. ill put it on the Poptropica Universe page later. Go to da Only page please. Off-topica! It never lets me in that way. 😦 Try again. I wanna talk off-topica. Why can’t I log into authors only! It never works for me it’s broken. What? Nonsense. There aren’t any capitals. What are you doing? How were you commenting there then? 😯 What?!?! Email SW or someone else. FF? You alive? You’re crazy. I’m in it. Email SW. Cool! I finished reading it.